For the second year now consumer interest groups have been sounding the alarm about the antibiotics used in meat used by local food chains. This year 16 have received an “F”, which is down from last years 20 such ratings, for not restricting antibiotic use by their meat suppliers, according to reports on CNN and the Washington Post. 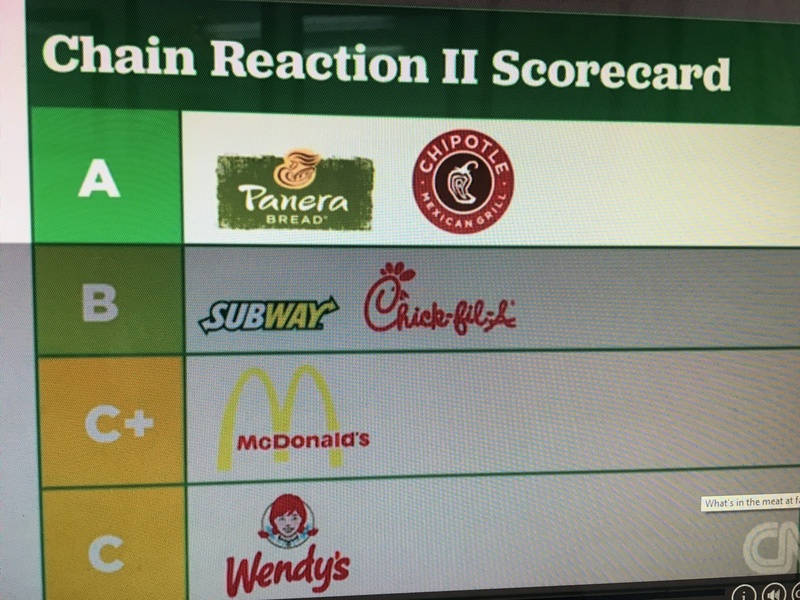 Like last year, only Panera Bread and Chipolte received an “A”, although Chipolte was hit with a huge bacterial outbreak nationwide. The restaurant chain claims it was an isolated incident and made changes to avoid the situation again. Even with that incident, they are still considered in the top two of 25 because it has restrictions on their meat purchase that th e other places do not require. 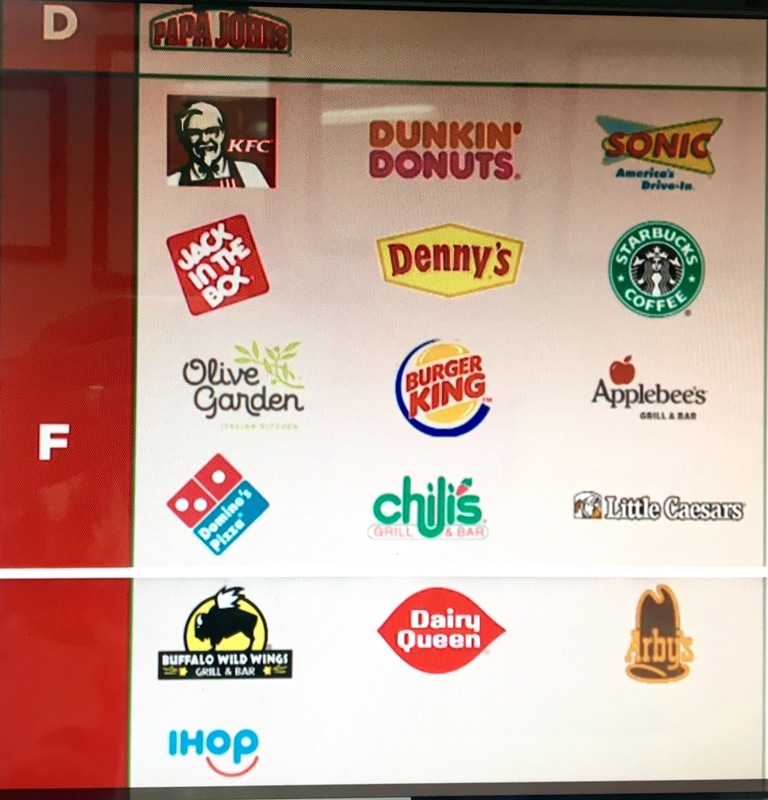 KFC, Starbucks, Buffalo Wild Wings, Dominos, iHop, and Denny’s were among the “F” rating by the consumer interest group Chain Reaction II. According to their website, Consumer Reaction is “several public interest organizations working to eliminate the routine use of antibiotics in animal agriculture,” among other advocacies hey support. According to Dr. Gupta on MSNBC.com, antibiotics should only be used to treat bacterial infection. Antibiotics on animals, when not needed, are used to prevent potential diseases, but can make bacteria resistant and are used when poor diets or crowded or dirty conditions exist. But a human can eat that bacteria the animals may carry, especially if the meat is not cooked properly. The end result: antibiotics may not work when you need them most on humans after consuming this meat. The beef industry uses six hormones to promote faster growth and weight gain, which is legal in the US. A tip: Try to read the ingredients and try to avoid using food that contain ingredients that you cannot pronounce. And remember: you are what you eat.